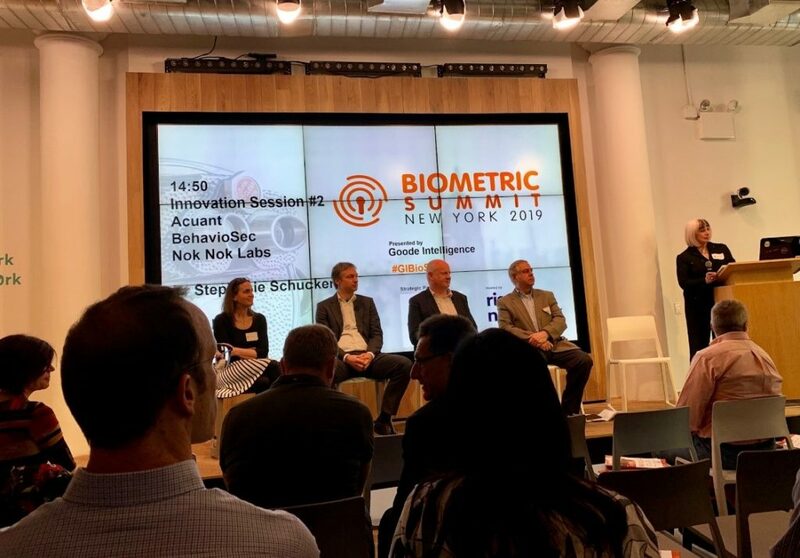 Acuant attended the Goode Intelligence Biometric Summit in NYC last week, where industry experts and providers met to discuss the state of identity, challenges and trends in biometrics. Our own Steve Maloney, EVP of Business Development and Strategy spoke on a panel hosted by International Biometrics + Identity Association (IBIA) Executive Director Tovah LaDier to address how biometrics are being leveraged to support digital onboarding while complying with Know Your Customer (KYC and eKYC) and Anti Money Laundering (AML) regulations. Here is a recap of what we learned. Biometrics continues to be one of the hottest tech areas with increasing investment activity bringing more providers to a growing market. Financial services, payments, transportation and governments continue to be at the vanguard of adoption, but other vertical sectors are increasingly turning to biometrics to support a range of use cases including healthcare. The majority of uses of biometric authentication are performed on-site, but mobile device usage is a fast growing area as well. The topic of the keynote speech by Alan Goode of (CEO & Chief Analyst at Goode Intelligence), was Biometrics, Creepy or Convenient? This is an important question that directly affects user adoption and government regulation- it is also an ethical and trust debate. Alan walked though several examples of biometric use cases that exist today, or did exist, to survey the crowd’s reaction as to whether this was in fact convenient or creepy. Examples included your smartphone recording where you parked your car without you instructing it to do so, airport kiosks in China scanning and identifying your face to then display your flight details in a public area, retail stores using behavioral biometrics to determine unusual consumer behavior from a camera to catch and prevent shoplifting, and using cameras for facial recognition to catch jay walkers in order to message and fine them. Reactions were mixed and likely a bit biased to convenient given the audience. All acknowledged that there are grey areas to consider which include cultural and regional differences, regulations such as GDPR, and consumer opinion – not to mention the ethical and moral questions. It was agreed traditional passwords alone are dying a slow and painful death. They simply do not provide enough security in today’s digital world and for our increasingly digital identities. The group was also in agreement that consumers are lazy, therefore convenience is key. In an age where it is all about the IoT, there was also a focus on the evolution of UI (device & biometrics)- the latest being conversation or voice (Hi Alexa). We talk to tv’s, cars and now Nike even has voice enabled shoes. 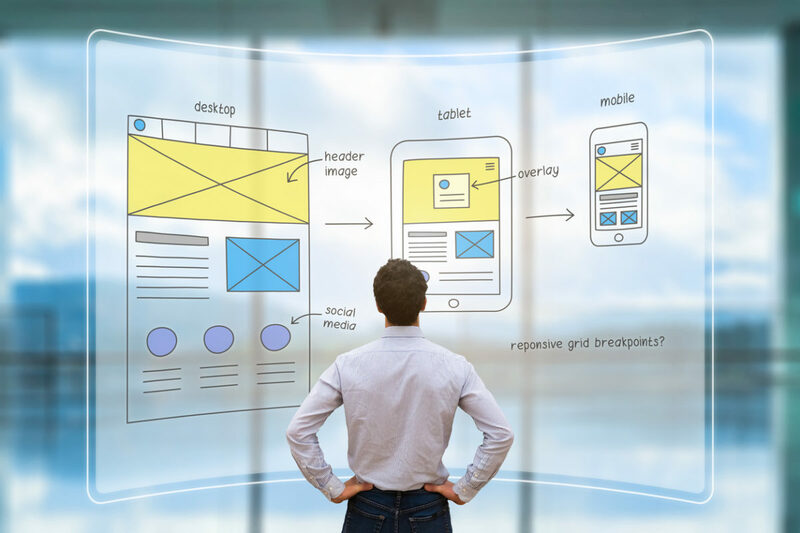 There was a notion that in fact, the best UX is no UX, the idea being removing it will reduce friction and not rely on consumers who will inevitably get it wrong. However, there was general consensus that usability outweighed friction and that some friction is inevitable. There was also debate about what the standard guidelines are to be followed, but here in the United States NIST was the front runner and recent advances by FIDO applauded. And while all agreed that the least amount of friction always wins, frictionless may be the wrong mindset. While solutions must be useable, they must also be secure in order to fight the criminals who are sophisticated. Not the check a box and meet compliance solutions, but really deterring the high-powered criminals we need to thwart. The majority (90%) of security solutions today are fine to catch the low-end criminals, but not the dangerous ones. 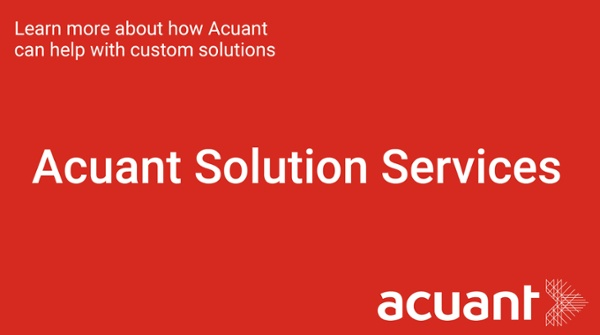 Essentially, solutions needed to catch the fraudsters must make the attacks more trouble than they are worth and at Acuant, we believe it’s about creating multiple signals to defeat bad actors. No matter your moral opinion on the matter, the masses have spoken. Biometrics are being widely adopted and are here to stay. They have a proven convenience factor that will continue to push the borders on privacy and creepiness. Here is where we will expect to see more legislation. The majority agreed this will be largely centered on the use case and the level of risk or security needed in each, for example, we are much more likely to be okay with our biometrics being recorded for travel when terrorist threats abound, rather than in a store while shopping to spot unusual behavior. What’s more, we cannot and are not in a position to rely on one method of authentication. As we at Acuant believe – identity is the new currency, and as such it must be defended. 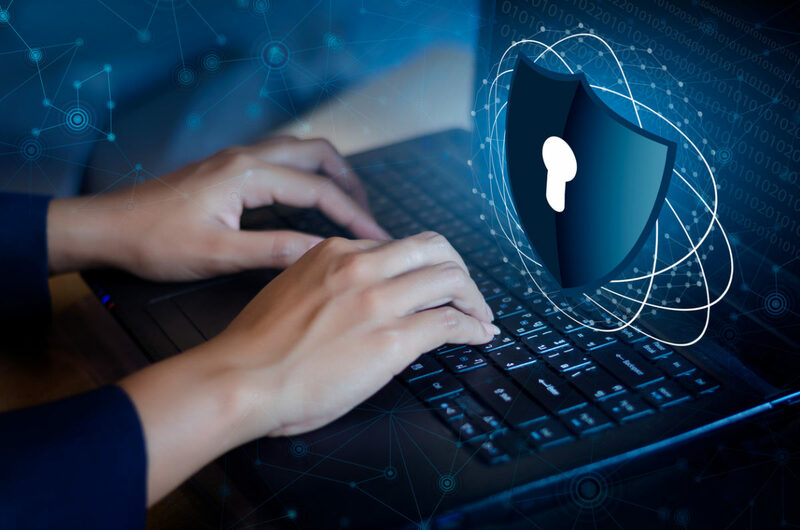 When it comes to biometrics this includes Presentation Attacks, also known as “spoofing,” to defeat biometric systems which expose the vulnerability of AI only recognition systems. All biometrics are vulnerable, and institutions must recognize that solutions have flaws. All agreed that we need to put more factors together for better solutions including security and privacy (protecting PII/data), versatility, ease of use and maintenance (continuous updates). Acuant’s EVP of Strategy, Stephen Maloney, was interviewed in this article by PYMNTS.com. You can read the article at its original source here. The password doesn’t get a lot of love these days, and not for entirely unfair reasons. Consumers in 2019 are well past the point where they have a few digital relationships such that they only have to remember a password or two — they have dozens, if not more, and trying to keep the mix of letters and numbers straight for each site can be a bridge too far for most of us. 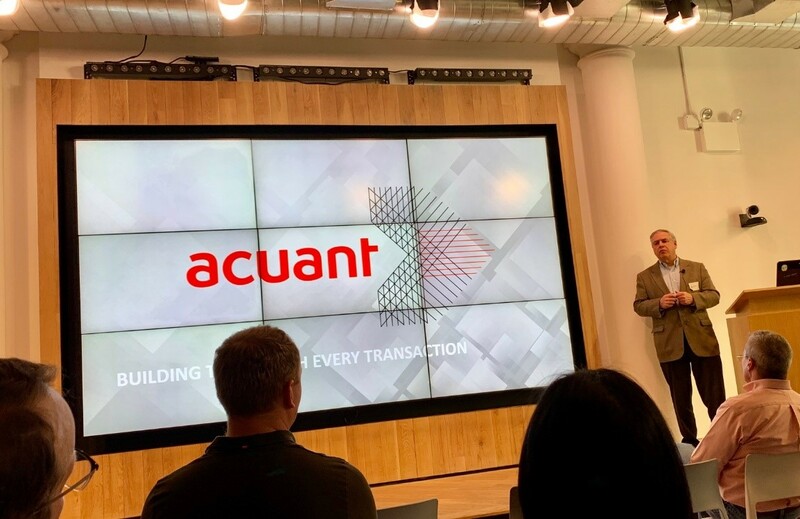 It’s all a bit unfair, Stephen Maloney, EVP at Acuant, told Karen Webster in a recent conversation, because truth be told the password, when properly used, can be just fine as a method of authentication. It’s just that the proliferation of passwords means it is almost impossible for any human being to use them right. Doing it correctly, he noted, entails using strings of nine or more characters, with a mix of symbols and uppercase letters — and then using a different one for every different digital relationship. Hardly anyone can do that. And while Google and Facebook can act as the auto-repositories for all passwords —solving part of the problem — it does create the small issue that if someone should gain access to or control of those master accounts, they have “the keys to the kingdom,” according to Maloney. Which means the password, despite its persistence, is in decline. There is a life and usefulness for it as an identification method, he said, but it’s a diminishing one. The same should be true of securing individual data, he said, but consumers are a little more complicated and have demands far more varied by context. Broadly, he noted, consumers want to eliminate friction while remaining secure — and the future of replacing the password will be in offering the right technological innovations in the right contexts to fulfill both of those needs. A customer taking an Uber ride or ordering with the help of Alexa, Webster noted, isn’t using a password to authenticate either of those transactions — but feels secure enough because of the underlying security infrastructure to be unworried by that fact. As a matter of technical fact, Maloney said, that customer probably could worry. If someone makes off with your phone, they will likely be able to fraudulently order up an Uber ride if they can figure out how to bypass whatever biometric authentication is on the device, he pointed out. But it’s a low risk for the consumer, he said, because Uber would reimburse them, and it’s a low risk for Uber because it is very unlikely to lose millions, or even thousands of dollars to that type of circumstance. So, change the context or type of transaction — and change the customer expectation, he said. And those contexts are going to make a difference in what kind of technology or authentication solution is going to come into play — because, he noted, it’s not going to be a single answer that dethrones the password so much as a variety of possible combinations of authentication methods, active and passive. It might be a matter of consumers using the mobile technology in their hands — and requiring a biometric marker like a fingerprint scan or sending a selfie. It might mean using geolocation technology in the background, to make sure the device trying to do the transacting is in the location where one would expect the consumer to be. While not a perfect metaphor, there are some similarities in how authentication is evolving to how payments have evolved, Webster and Maloney agreed. Starting with cash, payments evolved through checks, credit cards, debit cards and now into a whole host of emerging and growing forms of digital payments — where use is generally dictated by customer need or preference. “If think you are seeing a path that somewhat resembles that, we are not going to see the password die overnight, but its use and utility are going to diminish over time,” he said. What he hopes to see arise, Maloney said, is a notion of “self-sovereign identity,” wherein everyone owns their identity and how they use it. The technology to enable that exists today, Maloney noted, but deploying it, finding acceptance for it and fully sketching out the use cases for it hasn’t been solved yet. And in reality, he said, those challenges will likely be on the table for the next five-plus years. But in that time, there will be progress in a variety of areas, he said. For innovation in authentication, he said, the places to look are where firms stand to lose a lot from failure to authenticate the individual or bot conducting a transaction. These are the places where the greatest assurances are required, and they are key to the innovative path forward because innovation tends to “percolate down” from them. There will also be the race among players like Google, Amazon, Apple and others to keep innovating on that consumer experience. “You’re going to see us and other folks working to take friction out of the equation,” Maloney said. That might be in digitizing credentials, or in pushing more of the work of authentication behind the curtain instead of in the consumer’s face. None of it will kill the password overnight — any more than the emergence of digital payments has destroyed cash. But it will mean the password will stop being the central authentication player in much the same way cash was ousted from the center of transactions. Because what consumers want, as much as they want to be secure, is for their digital journey to be easy — and they’ll follow the path of least resistance that is provided to them. 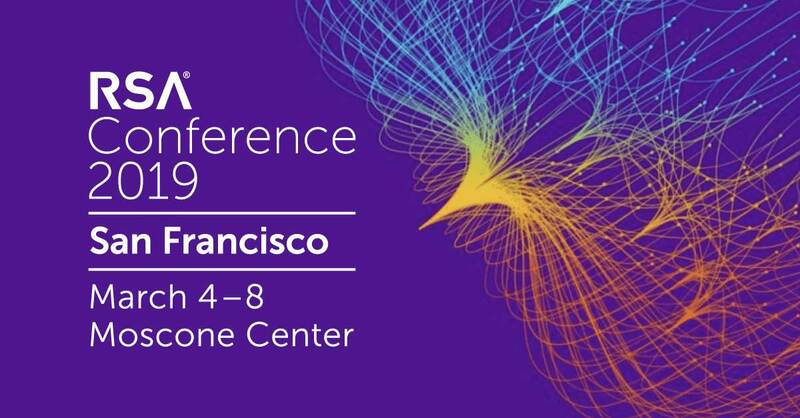 Last week we, along with tens of thousands of other security professionals, attended RSA Conference 2019. The theme of this year’s event was “Better” – how cybersecurity overall can be better and what organizations can do to better their own security outcomes. But trust – the desire to capture it, the lack of it among customers and its evolving definition – remained a central theme across the many keynotes, exhibitor booths, vendor announcements and chatter among industry professionals. 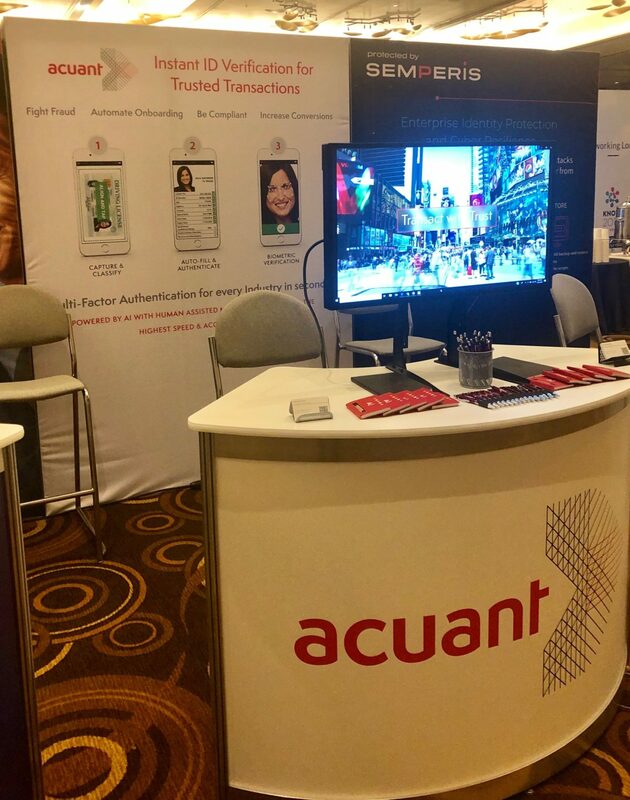 Our take: This same model is used at Acuant to identify the fraud risk of IDs. And while tools like AI and machine learning are extremely efficient for discerning between real and fraudulent documents (processing millions of transactions at a rate unachievable by human experts), a human eye is still needed for accuracy. IDs are physical documents that endure wear and tear or manufacturing discrepancies. Human researchers are needed to train algorithms to identify the fraud risk of an ID and automatically direct those that warrant further scrutiny to human reviewers. This mix of AI and humans cuts processing time from days to minutes and remains the most successful threat prevention model. There’s long been talk about a potential U.S. privacy law, but with the advent of GDPR in Europe and the California Consumer Privacy Act of 2018, a bill finally seems inevitable. Experts at IAPP, Google, Microsoft and Twitter noted that the likelihood of a federal privacy law passing in the next year is higher than in years past. During the session Julie Brill, corporate vice president and deputy general counsel at Microsoft, posited the odds were at 30% “It’s no longer a question of if there will be a privacy bill, but what that bill would look like,” she said. There are signs Congress will tackle privacy legislation again this year, and technology companies such as Google have a keen interest in shaping the federal privacy law. While there are several points of disagreement on what the law should cover, interest is high on both sides of the aisle in Congress to do something on the federal level to protect consumers. Our take: The U.S. in particular is currently a hotbed of frustration over the mismanagement of personally identifiable information (PII) and lack of protection for digital identity. As all signs point to federal legislation outlining what is and is not permitted related to digital identity, lawmakers should focus on giving individuals control over their identity and outlining that they should be managing how and where their data gets shared. Multiple speakers identified the complexity of security products as an industry shortcoming. Rob Westervelt, research director of security products at IDC, said the growing complexity of security solutions has led to gaps in coverage: “Organizations don’t fully understand the capabilities of the technology they have deployed.” This complexity also leads to misconfiguration and security policies that are not uniformly deployed across an enterprise’s IT footprint. Complexity has also led to organizations not using 2FA effectively. Researchers L. Jean Camp and Sancharis Das from Indiana University-Bloomington detailed the challenges of 2FA adoption during their session. 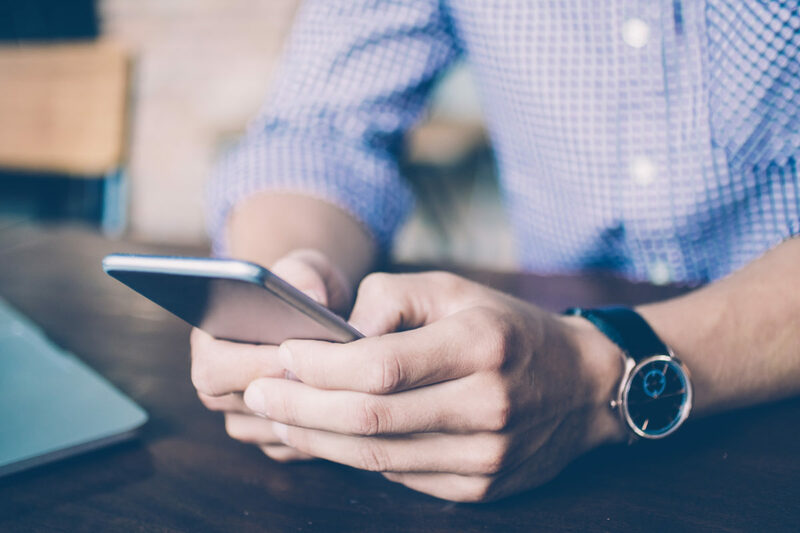 They posited that simply providing 2FA to users isn’t enough; it’s also critically important to communicate why and how to use the technology. Users need to be aware of the risks, and security vendors need to make it easier for users to understand. Our take: We agree that complexity creates security gaps – especially in an area as multifaceted as identity verification. But we also recognize that establishing identity in the digital world is a fluid process, especially as questions continue to arise about the collection, processing and ownership of data. Identity verification is a balance between risk and friction. 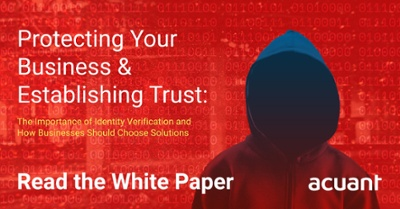 But with the creation of a “trust anchor” (such as an authenticated government issued ID) organizations can allow the user to take control of the verification process — deciding what parts of their identity, and data, a company can utilize to establish verification. This eliminates the complexity and friction associated with this process and breeds trust. Interested in learning more about how to protect your business and establish trust? Read our whitepaper!